The crop of tomorrow needs to thrive in many different situations and conditions. From tolerating attack by disease, to providing more yield with less nutrients, BioLumic technology switches on a wide range of valuable traits for agriculture. Healthy and productive root growth is arguably the key trait in agriculture, promoting strong crop establishment. Our manipulation of UV morphogenesis induces increased biomass partitioning to roots, and alterations in root architecture, strengthening field establishment and early crop vigour. Because of this, we can increase plant nutrient use efficiency in a way that no one else can. When fertilized at a sub-optimum rate, BioLumic-treated head-lettuce show final yield increases greater than 100%. Disease is one of the largest causes of crop losses worldwide and is conventionally addressed through breeding approaches and use of chemistry. BioLumic is turning the challenge of pathogen control on its head, by building an understanding of how plant UV-response triggers increased tolerance to disease by priming plant metabolism. 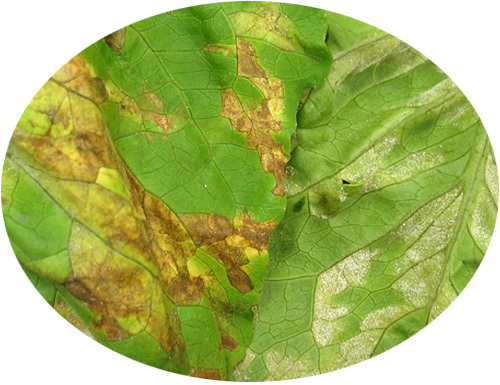 Our scientists have developed pathogen assays that characterise how our UV Recipes cut subsequent plant disease infection by half. No chemicals, no breeding. Crop yield is where all roads lead to in agriculture. BioLumic’s induction of UV acclamation induces initial strengthening and hardiness in plants, which leads to increased growth rates during the crop cycle. The culmination of all UV photomorphogenic responses results in increased final yields in terms of increased biomass of harvestable product, and increased consistency of final yields.